iPad apps that are essential in the classroom help students learn and teachers teach, without getting in the way of education. Essential iPad teacher apps help you manage daily tasks, such as accepting and returning electronic assignments and presenting information in class. These essential iPad apps provide a good starting point for any teacher wanting to expand the use of iPads in his or her classroom. It’s often a struggle to transfer files on or off an iPad. When it comes to moving photos and video wirelessly, you can’t beat PhotoSync. 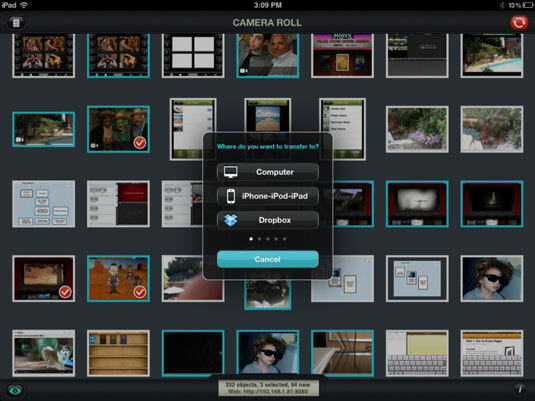 PhotoSync makes it simple to transfer photos and videos to and from computers and other iOS devices. No cables, no e-mails, no file size limits, and no fuss. If your students incorporate photos or videos in their assignments, they may need an easy way to transfer photos or videos they’ve gathered on the classroom iPad to their home computers. If you incorporate photo- or video-taking in the classroom or during a field trip, you’ll find PhotoSync an essential iPad app. Open PhotoSync, select the photos and videos you want to transfer along with a destination device and computer (that also needs to have PhotoSync), and choose where you want to transfer your photos to. Calculator Pro for iPad can be used as a standard calculator for basic operations or extended into a scientific calculator for more complex requirements. If you teach math, you can use this app to show students how to use a calculator to solve complex problems. If you’re a student, well, you can use this app to actually solve complex problems. Hold your iPad in portrait mode, and Calculator Pro for iPad is simple to use, with large, clear buttons for standard functions. 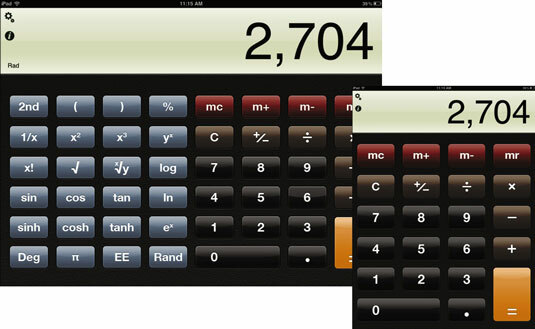 A simple flip of your iPad from portrait to landscape mode turns the app into a scientific calculator, adding all those little funky keys for people who know how to use them. There are many cloud storage services, and Apple has now entered the market with iCloud. Dropbox s the market leader and a great service for syncing documents and content across multiple devices. Just save or drop files into your Dropbox folder on a PC, Mac, or any other device. Take your iPad to class or a teacher meeting, or pull up a chair in the backyard, and open the Dropbox app. All your documents are synced across all devices and can be opened with a simple tap. Add any content to your Favorites list, and it will download for offline reading when you aren’t connected. Teachers can use Dropbox to distribute information to students, such as worksheets, homework assignments, rubrics, and so on. Students can submit assignments to their teacher’s Dropbox. They can also use Dropbox to collaborate with other students on big assignments. Dropbox is available as a share or export option in many popular apps and can be used to upload photos, video, and other content. You can also share any of your Dropbox folders, making Dropbox an ideal tool for collaboration and communication. Use Dropbox folders to share work resources, project files, and photo albums with friends, coworkers, and family. Oh, and those little USB thumb drives you used for storing and moving files? They make great little building blocks when playing with the kids. As a teacher, you may find that there are lots of times you need your school iPad to connect to your desktop and find files, use applications, or even just show something. Splashtop Remote to the rescue. Install the Splashtop utility app on your iPad and download the Splashtop Streamer on your desktop, and then you can access all your content from any device anywhere, at any time. View and edit your files remotely, use software, watch movies, show a presentation, play music, and more. 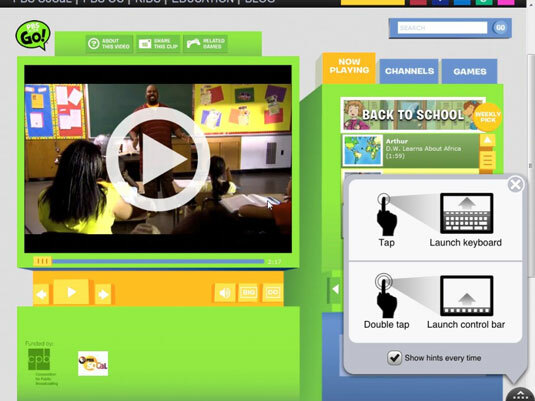 If your iPad doesn’t play that Flash video you really needed to watch or show the class, use Splashtop to connect to your computer and show it that way!